Okay, it's Carrie's turn! Carrie joined our group this past fall. 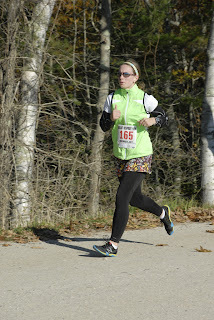 You should definitely go check out her blog at Maine Mom on the Run. She is not new to running. She used to be a hurdler back in the day and was actually pretty good at it too. She just returned to running last February and has had a very strong return. Who/what inspires you to run? My boys. 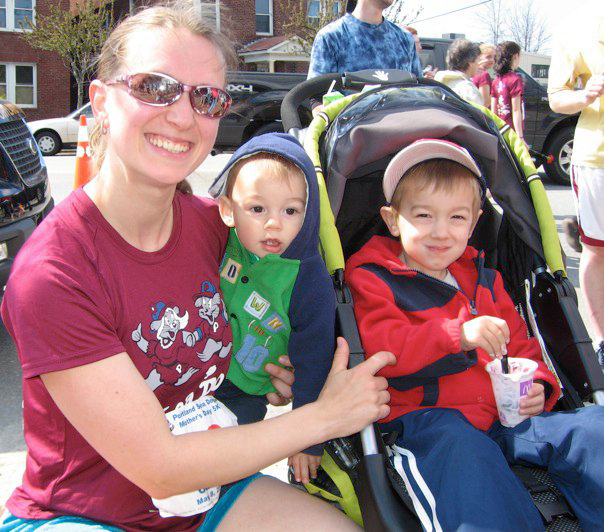 I run to recharge, be with my own thoughts, stay sane, and be a better mommy. Also, I run for my dad. He has a form of Muscular Dystrophy that makes it difficult to walk, let alone be able to run. I run because he can't. What is your best training tip? Rest often. Our bodies need periods of recovery to be ready to get back out there at 100%. What is your favorite post run indulgence? A tall glass of chocolate milk. Or my husband always makes blueberry pancakes when I get home from long runs. 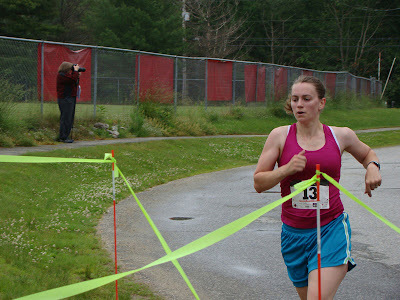 2012 Race Plans: New distances! 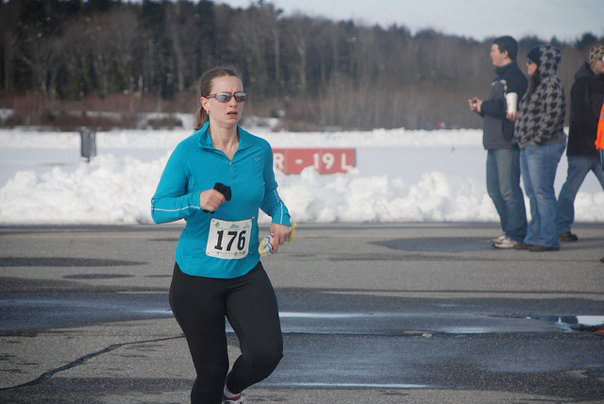 Mid-Winter Classic 10-Miler, Race the Runways Half Marathon, Reach the Beach 200-Mile Relay, and the Maine Marathon, with other races sprinkled in. Favorite Distance to Run: This is a tough one. In school I would have said 400 meters. I did cross-country but did not consider myself a distance runner. Having really only run 5Ks and 10Ks so far, the two both have high and low points. I like 5Ks because they are short and fast, but they hurt! I like 10Ks because they offer more of a challenge. In my head, I think I'm going to fall in love the the half marathon distance, but we'll see! Hee hee! Love it, thanks! Great post again! I love that Carrie wants to do Reach the Beach, I would love to do that! Awesome post! I went to say hi and follow her! So cool she did track in high school...I used to do sprints!! So long distance is dragging for me!